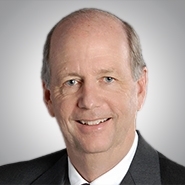 NAPLES, FLA. — The national law firm of Quarles & Brady LLP today announced that Timothy G. Hains, a partner in the firm’s Naples office, was selected to receive The Florida Bar President’s Pro Bono Service Award for 2014. Each year, the Supreme Court of Florida and The Florida Bar give special recognition to lawyers, legal groups and a member of the judiciary who have freely given their time and expertise in making legal services available to the poor. The Florida Bar President’s Pro Bono Service Award is given to one outstanding attorney residing in each of Florida’s 20 judicial circuits and to one outstanding attorney among out-of-state Florida Bar members. Hains was nominated by the Legal Aid Service of Collier County for his hard work and years of dedication to the organization. The Pro Bono Service Awards ceremony will be held at the Florida Supreme Court on January 30, 2014. Hains practices in the area of real property, including experience in real estate development, transactions and mortgage lending. Recent experience includes the representation of commercial and residential real estate developers in the acquisition, financing and development of real property and the representation of real estate investors in the acquisition, financing and leasing of office buildings and shopping centers. Hains earned his law degree from Stetson University College of Law and his undergraduate degree from the University of Notre Dame. The mission of Legal Aid Service of Collier County is to provide high-quality free civil legal advice, representation and education to the residents of Collier County, based on need, so as to encourage self-sufficiency and improve the lifestyle and living conditions of the entire community. The Florida Bar is a guardian for the integrity of the legal profession, and is the statewide professional organization of lawyers. Primary purposes of The Florida Bar include ensuring the highest standards of professionalism in the practice of law for the benefit of members and the public, assisting its members in enhancing their professional skills through programs held by the bar, and serving the public in which they live.